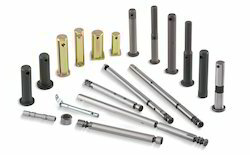 - Type: Bolts, Nuts, Studs, Washers, U-bolts, J bolts, Anchor Rods, Pins. We are a leading manufacturer and supplier of High Tensile Fasteners for Automobile Industry. High tensile fasteners are used in braking systems, power generating equipment, heavy manufacturing and commercial printing equipment. Manufacturing of fasteners is through alloy steel, stainless steel, carbon steel and exotic alloys. To ensure the higher level of patron satisfaction, we are engaged in offering an extensive range of High Tensile Fastener. These products are easily operated and ensure longer functional life. Our products are technically accurate and offer hurdle free performance. We ensure timely delivery of our products as per the needs. Supported by our advanced infrastructure facilities, we are engaged in manufacturing and supplying of wide range of Fastener Items. These products comprise superior quality nuts, screws and bolts. We fabricate these items in accordance with industry laid standards and norms. 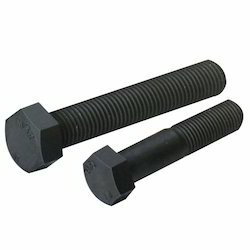 Our company is among the most sought after offering High Tensile Bolt to the clients. High Tensile Bolt is widely available in various dimensions and specifications as the requirements of the clients. To ensure quality, this product is stringently tested on various parameters. Offered range is used in various industries. Owing to years of experience we deliver highly durable range of High Tensile Fastener that are compact in designs and are offered in varied thickness. We offer them with low and high threads that can be customized as per the clients’ requirement. High Tensile Fastener is well-tested before the final delivery.